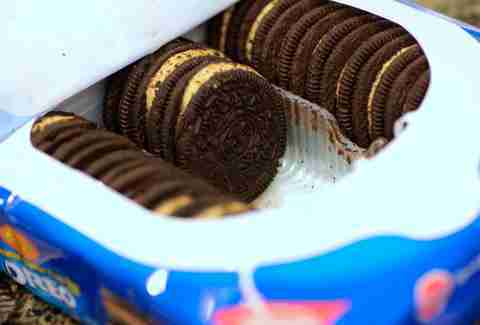 Reese's are undoubtedly one of the best snacks ever created, and Oreos are as addictive as crack. Combine them and you're guaranteed something great, in theory. 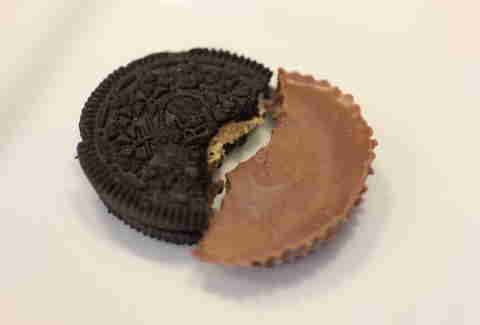 We put this theory to the test and tried the limited-edition Reese's Peanut Butter Cup Oreos. I bought a whole bunch of real Reese's for the purposes of this taste-test to see if the Reese's Oreo stacked up to the supremely complementary chocolate and peanut butter flavors of the original. My expectations were high. I pulled open the package of Oreos and was immediately hit with a blast of peanut butter. This was gonna be good. Here's the bad news: the Oreo peanut butter icing is no match flavor-wise for the intense peanut butter flavors of a Reese's. The good news is that there are delicious, lingering Reese's notes when you're done eating the Oreo, which might even trick your brain into thinking you just ate a Reese's. We don't recommend eating an Oreo and thinking about a Reese's, however, as that's the snack food equivalent of a guy fantasizing about Kate Upton while he's boning his wife. 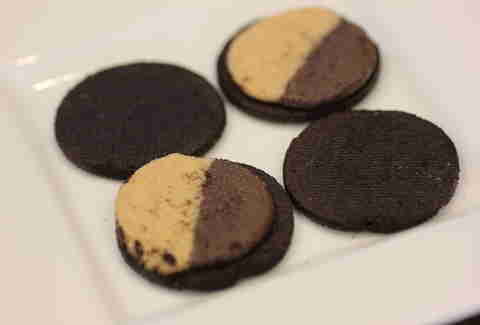 Overall, the chocolate Oreo notes dominate the flavor profile, which lie in contrast to the intoxicating mix of chocolate and peanut butter you get when you bite into a Reese's. These suckers are a limited-time-only option, so if you're a fan of the Oreo in general, it's absolutely worth plunking down a few bucks for a package. Or, like .005 bitcoins. 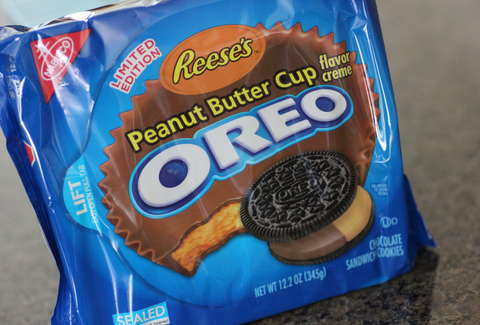 But I'd also buy a Reese's, because mainly this is going to make you crave the real thing. Lee Bresouler writes about food and drink for Thrillist, and wishes Hershey would send him a case of Reese's. Follow him at @LeeBreslouer because you can't make up a name that good.